I’m not sure when this impatience started, and that’s what I think the need to be anywhere but where I am is – impatience. I know there’s a connection between me wanting to do more and me feeling like my worth was dependent on accumulated moments rather than on who God created me to be. The irony is that in order to come to know myself and the divine within, I needed to be present in each moment and recognize the presence of God. I believe that God is everywhere and in every moment. To be clear, this is different than believing that God is orchestrating everything. I don’t believe God creates situations and experiences that are life taking – I believe that these realities exist because of deep brokenness within humanity. I do believe that God is present in these moments and that God joins us in our suffering. I also believe that God is with us in the joyous times. The God that I follow is an accompanying God – one who is with us at all times. There is no clearer image of this God than that of the person of Jesus Christ. When we are open to recognizing God’s presence, ordinary moments become extraordinary experiences that witness to the goodness of the Creator. I’ve been taking intentional time to just be present. It’s amazing what I notice in the world around me and what I notice bubbling up within myself. I see people differently. I notice nature. I listen to the sounds around me. I pay attention to my emotional health. I feel the feels in my body. All of these are ways that I am practicing presence. In do so, I feel much more in tune with God, with myself and with others. 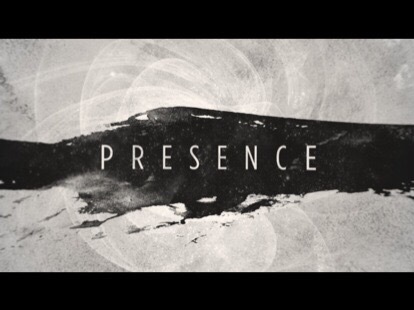 I wonder what it would look like for all of us to practice presence – to be in moments fully and be open to glimpses of God’s grace that surround us at all times. I know that in this next chapter of my life, I don’t want to miss what God is up to. I want to experience the Divine’s presence and I want to be fully present. This entry was posted in Faith, Life.